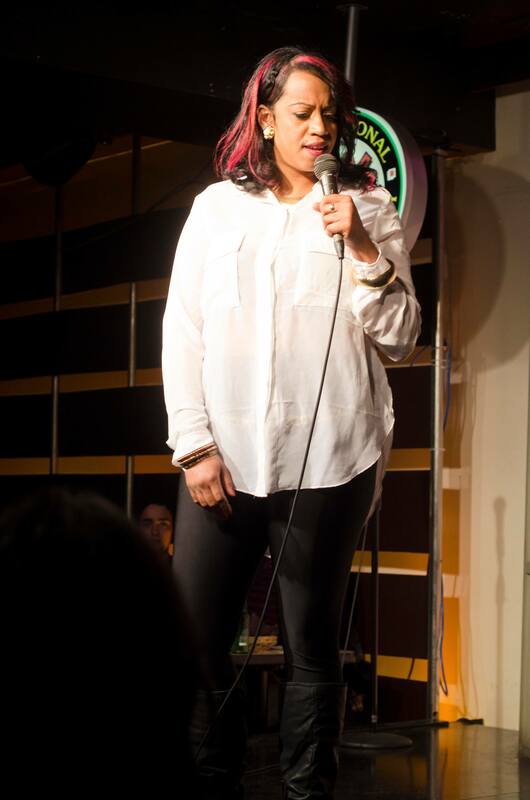 Keesha Brownie, a native of the culturally diverse city of Montreal is currently making her mark in Toronto as a quick witted stand-up comedian, a talented character actor, and an up-and-coming producer with the recent success of the Joker’s Corner Comedy Series. Like one of her most notable peers in the industry Russell Peters, Keesha grew up in the relatively quiet surroundings of Toronto suburb Brampton, Ontario. Born out of a sheer need to escape the dim routine of the everyday, Keesha found acting to be a rewarding outlet for her. Keesha was a student at the Theatre Performance Program at Humber College where her fondness for live entertainment was ignited and unleashed. She later graduated from the well-known Second City Conservatory program where her skills in both acting and comedy writing were crafted and perfected. Keesha has appeared in countless productions across the country including a headlining spot on Yuk Yuk’s Nubian Disciples All Black Comedy Revue Night in Toronto, as a featured comedian at Burlington’s 17 time “Best Nightclub of the Year” Club 54, and a regular on the college comedy tour circuit. Her ambitious nature and love of the arts propelled her into the role of Production Manager for an Improv Troupe (comprised of fellow Second City graduates) called 11th Commandment that went on to bring “Legends of Zelda”, a variety show a that consisted of Stand Up Comedy, Sketch Comedy and Improvisation every Sunday to Toronto’s Zelda’s Restaurant & Bar located in the heart of the city. Keesha’s acting talent graced a number of stage productions including the role of "Harriette Easton" in Yonge Street, a series produced by Devon Haughton at The Toronto Fringe Festival. She also mastered three diverse roles as Sistah Melva, Monica and Angela in CariRonto - a sketch comedy drama extravaganza celebrating Caribbean culture and "Prince Edward" in Shakespeare’s Richard III, directed by Yanna Macintosh. As if acting and joke-telling weren’t enough, Keesha also debuted her vocal alongside comedy mainstays Jay Martin and Al St. Louis on New Year's Eve 2012. Comedy gives me a high like no other drug. I can't put words on it. When it’s good it’s really good, you still feel the crowd laughing for weeks... there is something about laughter. Currently focused on expanding the Joker’s Corner brand, you can expect Joker’s Corner Comedy Shows to come to a city near you and for Miss Brownie to continue to light up the microphone with her funny charm for many years to come. Her unique delivery, her passion for excellence, and her genuine approach to comedy will have you rolling on the floor laughing your *ss off (or ROTFLMAO as it is universally understood) and you can answer YES to the lingering question...Got Brownie?